Miramar Beach, Fla., 2015-3-18 — /Travel PR News/ — Wyndham Vacation Rentals®, the world’s largest professional manager of vacation rentals and part of the Wyndham Worldwide family of brands (NYSE: WYN), today announced that TOPS’L Beach & Racquet Resort, a ResortQuest by Wyndham Vacation Rentals managed property, will again host the 32nd Annual Helen Drake Invitational tennis tournament, April 15 through April 19, 2015. The Invitational is a sanctioned United States Tennis Association (USTA) tournament where approximately 300 players compete within their age division for points on their state and national ranking. Interested players may register online at USTA.com, selecting TennisLink and searching by identification number 150100615 on the Tournament tab, or by clicking here. The entry deadline for the 2015 tournament is Friday, April 10, at 5:00 p.m., and match times will be posted online by Sunday, April 12, at 8:00 a.m. Situated on 52 acres near Destin, Florida and bordered by both the Gulf of Mexico and a tranquil nature preserve, TOPS’L Beach & Racquet Resort is not only renowned as a top tennis destination, but has also won an award for being an eco-friendly property. 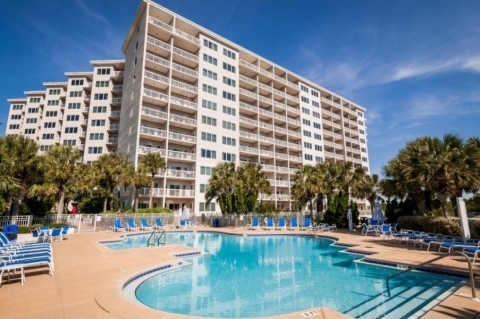 Booking details and additional information about TOPS’L Beach & Racquet Resort can be found online at: http://www.wyndhamvacationrentals.com/vacation-rentals/florida/northwest-florida/destination/resort/topsl-beach-racquet-resort. This entry was posted in Hospitality, Hotels, Resorts, Sports, Travel Services, Travelers and tagged 32nd Annual Helen Drake Invitational tennis tournament, Ed Evans, tennis tournament, TOPS’L Beach & Racquet Resort, Wyndham Vacation Rentals®. Bookmark the permalink.